Every dwelling must ensure the transfer of noise is in compliance with these regulations based on new build or conversion requirements. 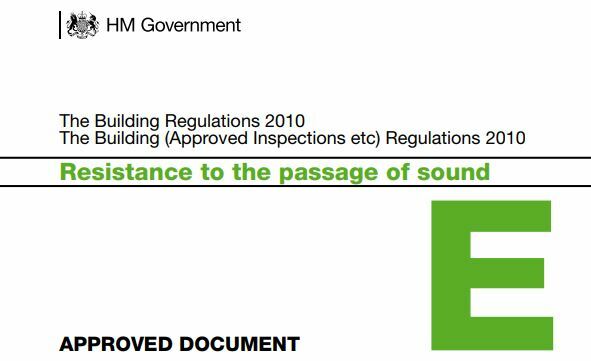 So how can you ensure compliance with sound insulation building regulations when planning a development? The steps below should help to ensure that when testing comes round at the end of the project, no unexpected failures or additional cost are incurred. A flanking path is a route through which sound can travel around a floor or wall partition, such as an old chimney breast running between different flats. Sound waves will always travel through paths of least resistance. If flanking paths are present the floor partition will become redundant and the sound will travel around the floor and result in a failure to meet sound insulation regulations. Using project relevant specifications will ensure that all areas are assessed and eliminate the risk of a failure. A number of the ‘off the shelf’ sound insulation systems will overcompensate to ensure that the system installed for the walls and floors will have allowances for multiple different scenario’s. Therefore when purchasing these systems you are paying additional for the consideration that the system may not be installed correctly etc, tailoring your own specifications will allow you to work with products you know and work with all the time. The consideration of your project can result in savings on both materials and time on site. Want to ensure that your project is considered individually and will comply with Building Regulations? get in touch for a free tailored specification today.